I saw this story on The GeoChristian some time ago, but then I got distracted (probably by something shiny) and forgot to post about it. However, I had occasion to remember it because I got an E-MAIL from a homeschooled student regarding his first year at college. I hope to turn that E-MAIL into a separate blog post. For right now, however, I want to concentrate on the story that was originally posted at The GeoChristian. The story is based on the most recent results of the ETS Proficiency Profile. It is a test given on 261 college campuses nationwide, and it supposedly measures the abilities of students when it comes to critical thinking, writing, reading, the humanities, the social sciences, the natural sciences, and mathematics. Colleges and universities participate in the test strictly on a volunteer basis. The elite schools don’t see themselves as benefiting from the test, so Harvard, Yale, etc., do not participate. Other less rigorous schools are concerned about what the results might be, so they don’t participate, either. Nevertheless, there are enough colleges and universities participating that it allows for some reasonable gauge of the academic prowess of students on any participating campus. I haven’t seriously looked at ETS Proficiency Profile results for quite some time, having left my university faculty position in 1996. Nevertheless, my recollection is that in general, an institution whose students have the highest overall score on the test rarely captures first place in every subcategory. Thus, a college’s students might score well enough in math, the natural sciences, and critical thinking to get first overall, but other colleges will take first prize when it comes to their students’ abilities in writing, the humanities, or the social sciences. This year’s results, however, were a clean sweep. One college received the highest score in all categories. That college was Patrick Henry College. The college was rather happy with the results, so the provost posted a report about it. Obviously, he has every right to be proud. When your students can outperform the students from 260 other colleges and universities in the U.S., you are probably doing something right. The GeoChristian wondered how this is possible, especially in the natural sciences category. After all, Patrick Henry College is a young-earth creationist college. It specifically states in its catalog that all biology and Bible courses at the college will be taught from the standpoint that the creation of the universe occurred in six 24-hour days. The GeoChristian is under the severely mistaken impression that the young-earth creationist position is not consistent with the scientific data. How, then, could these students possibly do well on the natural sciences section of the ETS Proficiency Profile? 1. The majority of the students are homeschool graduates. 2. A young-earth creationist education is, by far, the best science education a student can have. As to the first point, there is simply no question that on average, homeschooled students are academically superior to their peers. 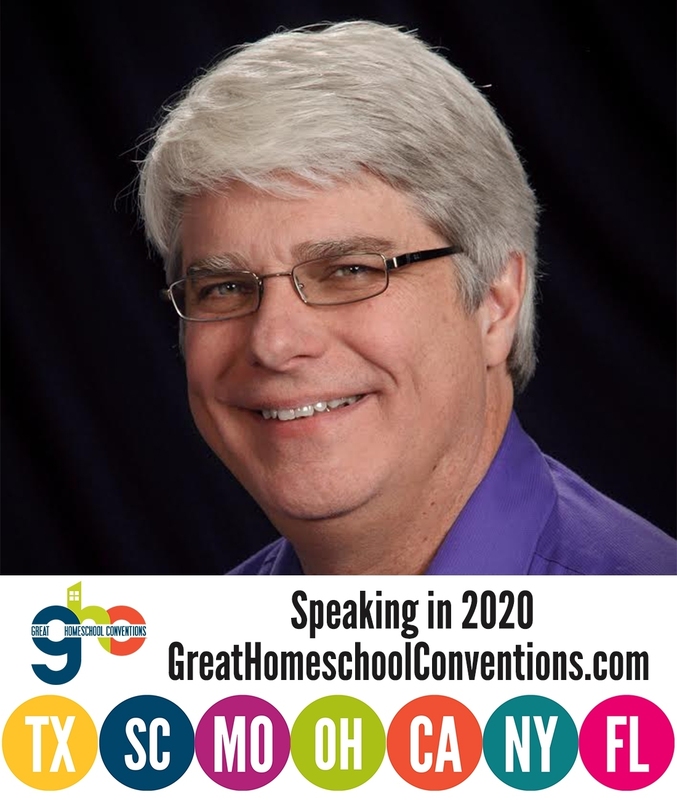 Indeed, I got involved in the homeschooling movement specifically because while I was on the faculty at Ball State University, my very best students were the homeschool graduates. When I searched the academic literature to see if my experience was representative of the norm, I found that it was. Thus, any college that has a lot of homeschool graduates will definitely score well on any measure of academic prowess. I have written about the second point before. A young-earth creationist science education not only helps students learn science better, but it also helps them develop strong critical thinking skills, which aid in every other area of academic inquiry. One reason, of course, is that the young-earth creationist position is the most scientifically-reasonable position to take when looking at the earth. As I have discussed before, it doesn’t require any scientifically-irresponsible extrapolation, and it allows you to look at all the data, not just the data that support the “scientific consensus.” As a result, the student gets a much better view of what nature actually looks like. More importantly, since young-earth creationism goes so strongly against the scientific mainstream, it requires the student to critically analyze scientific positions in a way that most students never get a chance to do. For example, while most students (even at the college level) think that the geological column as presented in textbooks (with its full complement of layers and fossils) is an actual physical reality, a young-earth creationist education forces the student to understand what the geological column really is: a theoretical construct based on multiple assumptions. As a result, even if the young-earth creationist position is incorrect (I don’t think it is, but even if it is), a student educated in that framework will actually know more about the details of the scientific consensus than other students who are taught within the framework of the consensus. It is not surprising to me, then, that a group of homeschool graduates who have been taught from a young-earth creationist perspective scored so well on the natural science and critical thinking sections of the ETS Proficiency Profile. In fact, I would be surprised if they had not. While I appreciate that the large intake of Home school students is likely to have bolstered the score, I find it hard to believe that the creationism aspect can be so significant. After all, it is absurd to suggest that creationism prepares people better for essay writing or arithmetic! Even within science there are huge areas of mainstream science that are completely accepted by creationists. Gravity still works, molecules still work, and even the cardiovascular system still works exactly the same whether you suppose that life arose goo to zoo or when God declared “let there be”. Meanwhile the insistence that all faculty adhere specifically to the viewpoint of 24 hour literal Genesis creationism and teach that view makes one wonder how evaluative they actually are. Nevertheless it cannot be denied that it’s a good institution. I wonder whether Daniel Gray will see this post. I appreciate your thoughts, Josiah. As I mentioned, I listed the reasons in order of importance, and the homeschooling issue was the most important. However, I do think that the young-earth creationist education does play a role. First, I am not so sure how “absurd” it is to say that a young-earth science education helps with writing and arithmetic. The key is that it inspires critical thinking, and that can help all areas of academic inquiry. For example, there is an excellent book called Arguments A-1: Critical Thinking Activities to Improve Writing Skills (http://www.amazon.ca/Arguments-1-Critical-Thinking-Activities/dp/0894553852). It is the author’s view (and I concur) that critical thinking does improve writing. I also understand that there are vast tracts of the scientific consensus that YECs agree with. That’s part of what teaches the student critical thinking. In a serious YEC education, students learn why the scientific consensus on gravity is correct, while the scientific consensus on evolution is incorrect. Learning how to distinguish scientific ideas based on the data rather than the majority opinion produces better critical thinkers. I certainly agree that critical thinking skills are useful in writing essays, and indeed possibly in a number of areas of mathematics as well. I also acknowledge that holding to creationism will force people to learn critical thinking. However there are many controversial issues that likewise require critical thinking, such as a great many issues in economics, politics, and marketing. Surely any graduate could develop such critical thinking skills, and creationism would be merely one additional topic to think about. That’s certainly true, Josiah. However, since young-earth creationism spans so many topics (biology, geology, nuclear physics, etc. ), I think it provides a more fertile ground for critical thinking than most controversial topics, which are often rather narrowly focused. Wow, Mr. Wile this theory of yours is quite a stretch. In my opionion YEC is about ignoring large amounts of scientific evidence not dealing with it in a critical way. But we are all entitled to our opinions. I think this reflects more how badly our generation of non home schoolers are able to think. Thanks for your comment, Mark. Actually, YECs look at all the data rather than just selected bits of it. They are forced to deal with the data in a much more critical way as well, as they must determine the underlying assumptions of dating methods in order to evaluate them. Many scientists who believe in an ancient earth do neither. They simply take what the “scientific consensus” says as gospel truth without investigating it in any meaningful way. Just click on “Age of the Earth” under “Categories” to see some of the data that those who believe in an ancient earth must ignore. From a scientific point of view, the earth looks young. The only way to force it to look old is to ignore or “explain away” a large amount of data. It’s no wonder, then, that YEC students are so good at science and the other endeavors that require critical thinking. I have to think that it’s the homeschooling that put Patrick Henry at the top. (As a homeschool grad in college it would be nice to think that for sure!) I have to admit that I’m not sure that I entirely buy that the YEC part had that much to do with it, but I may be biased since I’m not convinced that the earth is young. I’m of the opinion that God made the earth and the whole universe, and that He made it is enough for me and I don’t really care *how* He made it. Anyway, I am enjoying rediscovering your blog- I found it several months ago and posted a couple of comments using my real name (I since have started using an internet name for privacy) but I forgot the name of your blog and it took me a while to find it again. Nice to have you back, Vivielle. You don’t have to be convinced that the earth is young to appreciate how a young-earth creationist education is the best science education. As pointed out in the article I referenced, science education is best done in the setting of a controversy. In addition, the study showed that whether or not all sides of the controversy presented were legitimate, the science education improved. I wonder how a college would do that actually championed arguments for the plum pudding model, the steady state theory, and a flat earth. Josiah, the Science article I discuss here, which was linked in this post, says that when science is taught in the context of a controversy, students learn better. In order for there to be a legitimate controversy, however, all sides must be able to make a reasonable case for their view. It would be hard to make a reasonable case for the plum pudding model or a flat earth. Perhaps it could be done with the steady state theory, however. Thank, Vidalia, but I seriously doubt that I will find time for that. I have seen both good and bad come from home schooling. It is not generally that hard to outperform public schools as I remember them anyway. What does fail here is the young-earth creationist equals critical thinking bit. Suppose I critically go over all the fundamental issues in the theory of gravity, i.e., General relativity. Namely compatibility with Quantum Mechanics. Now any critically thinking person would easily accept that there may be some issues with one or both, perhaps even that go beyond completeness. Yet any critically thinking person would not then say, based on this, that gravity does not exist. Yet this is what is being done when you mix counter-arguments against evolution as if it was evidence for young-earth creationist. Bypassing any such critical thinking with respect to the anti-claim, for the following reasons among many others. Raw evolution is an algorithm, which does not depend on any biology to work. When we write evolutionary programs they evolve solutions to problems that engineers (or the programmer) would have never dreamed of. How does it do this if the programmer does not know how to tell it how to do it? By using a computer function called “Random()”. Yes “Random()” is the decision maker for all those changes from one program generation to another. A fair amount of the technology you now use has elements that was designed by the “Random()” function, and even designs irreducibly complex solutions. That makes statements like “It cannot happen by accident” a bit on the absurd side to even a marginal level of critical thinking. So acting as though young-earth creationism corresponds to a high level of critical thinking, for this reason and countless more, is like critically questioning whether a rubber ball will bounce off the floor while casually bouncing it off the floor. Many times while using a cell phone you are casually bouncing evolution off the floor, while critically questioning it with the person on the other end. Another example is to take the tree of life. Perhaps similar design is just the result of the same designer. Sure, we can test that, and if the test fails it is the same death blow to evolution as an actual crocoduck or a rabbit in the Cambrian would be. Take many different animals and sequence their genomes. Split each genome in random groups of sequences. Now, if a designer is taking similar designs from one and using it in another then the tree of life you derive from each random group will be different depending on which of the groups you derive the tree from. But this does not happen. Each and every random subgroup of genetic sequences produce exactly the same tree of life. This can only be explained by causally related sequences, unless you suppose it was done that way to lie to us. So if you want to teach real critical thinking the problem questions that the critical thinking claim is predicated on is just the first step. You then have to teach how to devise actual test to distinguish between the critical questions and the reality. That is the part that gets left out making colleges and science departments weary of accepting students such as this. It has nothing to do with religion, rather everything to do with a trained denial of taking that final step in devising test to make a distinction between the critical thinking and the reality. John, I agree with you that it is generally not hard to outperform the public schools. You are quite wrong about young-earth creationism, however. It teaches excellent critical thinking. Having taught at both the university and high school levels, I can unequivocally say that the best students I ever had when it came to critical thinking were the ones who learned in a young-earth creationist paradigm. You are also quite wrong about counter arguments. It is one thing when you have a theory that makes a lot of successful predictions. When there are minor problems with such a theory, or when that theory contradicts another theory, you definitely shouldn’t question its overall validity just because of such problems. However, when it comes to evolution, its major predictions have been falsified. Thus, it should be questioned. That’s the essence of scientific thinking. I agree that a fair amount of technology has been designed based on random algorithms, but that actually demonstrates how random chance cannot be the architect of complex systems. You seem to be forgetting the “algorithms” part. An algorithm is the result of a design. An intelligence produces a design that uses the random processes to work towards a goal. Evolution doesn’t have such an algorithm. It has only natural selection, which is completely blind. Random mutation plus natural selection cannot produce the complex systems we see today. Only designed algorithms can. It’s interesting that you bring up the “tree of life,” as that is one of evolution’s main failures when it comes to predictions. The tree of life doesn’t exist. Of course, that’s not just my view. It is the view of those who are actually trying to find evolutionary relationships using genetics. In addition, the equivalent of a “rabbit in the Cambrian” has already been found. Indeed, before Simon Conway Morris rediscovered Charles Walcott’s fossils, it was considered impossible for chordates to be found in Cambrian rock. They were simply too advanced for such an ancient time period. Once chordates were found, however, that was simply accommodated into evolution, as are all of evolution’s failed predictions. As a result, evolution has become so “plastic” that it can adapt to any new data, which makes it nearly useless as a scientific theory. I really do think you need to look into this a bit, because your statement that “Each and every random subgroup of genetic sequences produce exactly the same tree of life” is demonstrably false. As mentioned above, there is no tree of life. We know this specifically because when evolutionists try to determine phylogenies with genetics, the supposed evolutionary relationships change depending on what genes are used. Also, those various phylogenies rarely agree with the phylogenies developed based on morphology. I hope you will use this information to start doing a bit of your own critical thinking! The ETS is hardly a reliable tool when attempting to demonstrate academic superiority. The ETS does not score it’s assessment based on whether what the student writes is correct or incorrect…it is scored solely on how well constructed and logically developed a student’s ideas are presented. Thus, it is hardly surprising that Patrick Henry College did so well. There are only 400 or so students, so class sizes and student to teacher communication are definite advantages. In addition, most YEC Christian schools have students that are products of secondary Christian schools or Christian homeschooling; hence, they have been indoctrinated virtually all their academic lives to be able to present a ‘logical and reasoned’ argument in of YEC and it’s associated beliefs. “As I have discussed before, it doesn’t require any scientifically-irresponsible extrapolation, and it allows you to look at all the data, not just the data that support the “scientific consensus.” In other words, data that has no scientific reality and whose basis lies in religious conjecture and belief. I hardly call using such tools logical or reasonable. “More importantly, since young-earth creationism goes so strongly against the scientific mainstream, it requires the student to critically analyze scientific positions in a way that most students never get a chance to do.” This means taking scientifically verifiable data and injecting with opposing religious dogma, then declaring the dogma the winner. Really…what kind of sham are you trying to pull? Dane, I think you are a bit confused about the ETS. You are quite right that there is no evaluation of correctness in the writing portion of the test. However, the mathematics, science, and critical thinking areas are all graded based on the correctness of the answers. Thus, not only can these students write well, they also know science and math well, and they also do well in critical thinking. In fact, they do it (on average) better than the students from any other institution. This is, of course, exactly what homeschooling combined with a YEC education produces. I think your statement that YECs use “data that has no scientific reality and whose basis lies in religious conjecture and belief” shows that you haven’t spent much time studying this issue. It seems that, like most people, you have just taken the “scientific consensus” on faith and are unaware of the unverifiable assumptions that are involved in the interpretation of scientific data. That’s not surprising, since you probably didn’t learn in a setting that encourages critical thinking. I would suggest that you start your education now. Click on “Age of the Earth” under “Categories” so you can see the kind of data that I am speaking about. Please note as well that the word “data” is plural. Critically analyzing scientific positions has nothing to do with “taking scientifically verifiable data and injecting with opposing religious dogma.” What it does entail is not taking the “scientific consensus” on faith. Instead, it entails examining the actual data that lead to a scientific position and separating the actual data from the unverifiable assumptions. I expect you don’t understand this because you have never actually done it. If you do, your first steps on the road to critical thinking will have begun! I would argue that it isn’t YEC, but something that is directly related to it. IMHO, Dr. Wile is almost right in that YEC is truth therefore people who hold that position can understand truth in other areas more easily. But it’s more than either homeschooling or YEC that boosts there scores, it’s Christianity and the puritan work ethic. I actually considered that, thehuskarl. However, a lot of Christian schools take that test. The fact that PHC stands out among them indicates there is something more. Paragraph one is a proclamation so mere counter proclamations would not be very productive. Paragraph two links to http://www.darwinspredictions.com/ proclaiming major predictions have been falsified. What is referred to as “predictions” on that page are predicated on “a wide variety of specific explanations”. As I noted with the evolutionary algorithms evolution works with any and every mechanism that meets certain basic requirements., replication with change and survival. There are many purely chemical systems that also evolve. Also computer programs, etc. So to include any specific mechanisms as if it was a prediction of evolution is simply not valid. Biological evolution could have included many specific mechanisms it did not, for purely historical reasons, and included many we have not discovered yet. To say this falsifies evolution is like saying a game of pool falsified the laws of motion because the specific shots the players must make is never the same in any two games. Evolution algorithms on the computer often do not come up with the same evolutionary solutions twice either, nor the same process (specific mechanisms) even when the same solution does come up a second time. So in fact evolution *requires* (as a prediction) a lack of “parsimony” in specific mechanisms from one evolutionary sequence to another. Otherwise evolution would not work outside of specific biological mechanisms like it does. I would like to address more points on this page but but perhaps I can get to that in later responses. I would be happy to answer any particular one you have in mind. Paragraph three you opine that an algorithm is the result of a design. Sand dunes are the result of a natural algorithm, as id tornadoes, hurricanes, etc. The sedimentary precipitation of particulates in water is a natural sorting algorithm. You also say design uses a random processes to work towards a goal. This is also wrong. The is no goal, only survival or not survival, and what survives is the correct answer to what survives. Just like flipping a coin the coin has no goal to land on one side or the other. So if it lands on tails then tail wins for the same reason what survives wins. You say evolution does not have such an algorithm. If by algorithm you mean “goal”, then neither do computer evolutionary algorithms. That is why evolutionary computer algorithms often do not come with the same solution twice. If you are evolving satellite orbits then the satellites do not have a “goal”, they either orbit and live or crash and burn. The ones that live the longest produced more babies with slightly different orbits which either orbit or die. Tornado formation does not have a goal to form. Either the tornado algorithm forms or it dies before forming. No goal needed. The forth paragraph proclaims that the tree of life does not exist. To make this argument the comparison between morphology and RNA in this argument. Here is what this argument boils down to. Picture a pool table with and arrangement of balls on it. This arrangement is the morphology. Now you have to try to figure out what the ball arrangement was before the last pool shot was attempted, using nothing more that that picture. In fact there are countless ways the balls could have been arranged before the last shot. So just because you have a certain arrangement of balls does not mean that arrangement had to come about in a certain way. Even though you know there are certain ways it could not have come about. Now when we look at the RNA or DNA we get to see not only what the balls look like now, but also how they they changed after the last shot. So it made the water less muddy so we could see even tinier details to argue about. Natural there are far more tiny details than bigger details but only because we can see more details. The fifth paragraph ask me to look again saying it is “demonstrably false”. Now note above my objection to lumping morphology and DNA, as if all similar arrangements of pool balls had to define the sequence of shots. The anti-evolution hypothesis requires that a particular arrangement of pool balls could have only resulted from one and only one prior arrangement, not so and no honest assessment could ever seriously claim otherwise. The article you link hinges on this same similar morphology *must* equal similar genetic history. To outline the point of the New Scientist article consider the Ensatina salamanders in California. You have salamander type A that breeds with salamander type B that breeds with salamander type C that breeds with salamander type D that breeds with salamander type E. Only now we notice that type A cannot breed with type E. So they must be different species. But when did it become a new species when we know that A, B, C, D, and E can all breed together in sequence? Now if A and E are different species and type B and D come in contact and make another colony type F, is type F more closely related to A or E? This happens exactly *because* evolution takes place in tiny steps, where speciation does not occur all of a sudden with some mutation. Speciation is the result of a long history of insignificant changes that finally add up to a new species compared to something far enough back. Evolution cannot work any other way even in a computer program genetic algorithm. Yet sometimes the branches get distinct enough that they can no longer reform into the main branch, so the tree live at larger scales. Lions and tigers can still breed, even though they are different enough that the young have difficulty surviving. Given more time will they not even be able to do this. Speciation generally does not have a specific location and is only meaningful relative to another animal. You cannot use an inescapable consequence of evolution, which all evolutionary algorithms illustrate including computer generated ones, as a falsification of evolution. John, my first paragraph was not a proclamation. It was a statement of my observations as a professional educator. The fact that you don’t like the consequence of those observations does not invalidate them. Failed expectations are not necessarily a problem for a theory. But what if fundamental predictions are consistently falsified? As we shall see this is the case with the theory of evolution. Evolutionists are commonly surprised by the scientific evidences from biology. The evidences do not fit the evolutionary expectations. Evolutionists argue strenuously that these surprises are not problems, but rather are signs of scientific progress. With each new finding, evolutionists say, we learn more about how evolution occurred. Is this true or simply a case of partisanship in science? How can we tell?…Evolution has a long history of false predictions leading to rising complexity. The evolutionist’s claim that all of this is a sign of good science, of learning how evolution actually occurred, is not consistent with evolution’s many falsified predictions and complex adjustments. So as I said before, a few bad predictions are not necessarily the end of a theory. However, as Dr. Hunter correctly points out, in order to “get around” these failed predictions, evolution has had to put in many exceptions, which has led to a rising complexity. Much like the geocentric theory, evolution must continually add “epicycles” to force it into compliance with the data. This is why evolution’s failed predictions show it to be an invalid theory. Saying that evolution’s myriad of false predictions falsifies the theory is not “like saying a game of pool falsified the laws of motion because the specific shots the players must make is never the same in any two games.” If the balls in a pool game often moved contrary to the predictions of the laws of motion, that would falsify the laws of motion. Since they do not, the pool game does not falsify the laws of motion. Since the biological data continually end up contrary to the predictions of evolution, they have falsified evolution. A tornado or hurricane is not an algorithm. Design most certainly can use random processes to work towards a goal. Many algorithms for solving mathematical equations, for example, start with a random guess and then use a set of rules to refine that guess to the correct answer. As a nuclear chemist, I used “Monte Carlo” computer calculations that continually used random numbers as data to produce statistical results. The key in these programs is that the algorithm is designed and works towards a goal. I agree evolution has no algorithm that works towards a goal, which is why evolutionary evidence doesn’t come from computer simulations. You claim that my fourth paragraph makes the case that there is no tree of life by comparing RNA and morphology. That’s most certainly not true. It shows that when you compare morphology, RNA, DNA, and different subsets of DNA, they all produce different phylogenies. This shows that there is no tree of life, because the data give no coherent picture. Indeed, this is why evolutionary biologist Eric Bapteste said, “We have no evidence at all that the tree of life is a reality.” This is contrary to your statement, “Now when we look at the RNA or DNA we get to see not only what the balls look like now, but also how they they changed after the last shot.” In fact, when we look at RNA or DNA, we get conflicting pictures, indicating that the “arrangement of balls” has nothing to do with the speculations you are making. Syvanen recently compared 2000 genes that are common to humans, frogs, sea squirts, sea urchins, fruit flies and nematodes. In theory, he should have been able to use the gene sequences to construct an evolutionary tree showing the relationships between the six animals. He failed. The problem was that different genes told contradictory evolutionary stories. This, of course shows that your statement, “Each and every random subgroup of genetic sequences produce exactly the same tree of life” to be 100% false. The data clearly demonstrate the opposite. You are also quite incorrect to state that, “The anti-evolution hypothesis requires that a particular arrangement of pool balls could have only resulted from one and only one prior arrangement.” The anti-evolution analysis says that if evolution occurred, we should be able to determine what organisms gave rise to what other organisms. However, the data say we cannot do that. Some RNA results give one set of phylogenies, other RNA results give other phylogenies. Some DNA results give one set of phyologenies, other DNA results give other sets. Those sets regularly contradict one another as well as the sets drawn from morphology. This tells us that there is no true phylogeny. I am not using “an inescapable consequence of evolution, which all evolutionary algorithms illustrate including computer generated ones, as a falsification of evolution.” Instead, I am using the data as a falsification of evolution. The fact that you don’t like the data doesn’t reduce their devastating effects on evolution! John, I notice that you conveniently skip over the part where I mention that PHC has a very small student body and that the students there are likely products of Christian education, namely in Christian schools, where class size is small or homeschooling where “class size” is even smaller. When a student is able to get as much individual attention as these students have, then the results are hardly surprising, so patting PHC on the back for scoring well in pure mathematics and science is really just so much of a dog and pony show. As for the written portions of the ETS, I will emphasize once again that since they are scored based on well constructed the arguments and NOT on the merits or veracity of the arguments then I hardly take PHC’s results very seriously. As YEC science, let us be clear…no such thing exists. YEC “scientists” conflate scientific issues into fitting in with Biblical standards. You know that as well as I do. For example, YEC teaches there is no such thing as the geological column or that it doesn’t exist all in one place, which is completely false. I can name two places off the top of my head where it exists in it’s whole:the Bonaparte Basin of Australia and the Williston Basin of North Dakota. Then there’s nonsense about how the 2nd LOTD prohibits evolution, as articles will not ‘evolve’ from a lower order to a higher order; unfortunately, the 2nd has nothing to do with biological forms. The 2nd LOTD states that heat will not spontaneously flow from a colder body to a warmer one or, equivalently, that total entropy in a closed system will not decrease. This does NOT stop an organism from evolving because the earth is not a closed system; sunlight (with low entropy) shines on it and heat (with higher entropy) radiates off. This flow of energy, and the change in entropy that accompanies it, can and will power local decreases in entropy on earth. The only processes necessary for evolution to occur are reproduction, heritable variation, and selection. All of these are seen to happen all the time, so, obviously, no physical laws are preventing them. In fact, connections between evolution and entropy have been studied in depth, and never to the detriment of evolution. Finally, if fossilization were so prevalent and young-earth creationism were true, we should find indications in the fossil record of animals migrating from the Ark to other continents. I could keep going on through a variety disciplines but there’s no need. YEC “science” isn’t science…it is misrepresentation of science repackaged into a framework that jibes with Biblical ideology. Dane, you conveniently skip over the fact that the PHC students didn’t top the list in only the written portion of the test. They also topped the list in science, mathematics, and critical thinking, which are scored specifically on the veracity of the answers. Thus, your overall argument is still incorrect. Of course YEC is science, and YEC scientists are much more interested in what the data actually say than are many old-earth scientists. For example, YECs are correct that there is no place where the entire geological column exists, because since YECs are more interested in the data, they understand that the geological column means not only the rock layers, but also the fossils. There is no place on earth where the geological column with fossils in each layer exists. The Bonaparte Basin of Australia doesn’t have fossils in each layer, and in fact, there is evidence that some of “geological periods” are interbred (Devonian / Carboniferous and Triassic / Jurassic). Since the depth of the Williston Basin in North Dakota is only 3.4 miles or so, some of the layers are so thin that it is very hard to identify them. Also, many layers have no fossils. Since index fossils are used to determine which layer is which, these supposed “complete” geological columns are most certainly not complete. Identification of the layers in these columns are dependent on strata in other parts of the world. So the YECs are right, which is expected, since they are more interested in the data. You are most certainly correct about the second law of thermodynamics. In fact, I call out my fellow YECs on that error. Of course, I find evolutionists using incorrect arguments all the time, such as the demonstrably false argument that scales evolved into feathers. Thus, individual wrong arguments do not invalidate a position. There are very few creationists that make the argument that there are too many fossils. In fact, I find that more old-earthers use that argument to claim that the young-earthers are wrong. In fact, there are neither too many nor too few fossils. Since, as you correctly state, fossilization depends on many factors, it is quite impossible to estimate how many fossils there “should” be for either scenario. As you can see, then, YEC is most certainly science, as is so aptly demonstrated by YEC students excellent scores in science! If you had read my criticism of PHC with anything resembling reading comprehension, you would have seen that I said it is NO SURPRISE that they do well with strictly mechanical questions of science and mathematics when you take into account their academic history; namely, the fact that they have consistently been in much smaller classes than what is found in public schools. This affords both teacher and student a better opportunity for maximizing an individual’s performance. And I see you are clutching at strawman arguments in regards to the geological column. Only YEC “scientists” have postulated the ridiculous notion that a ‘complete column’ would be a column that has fossils in every layer. This is a thinly disguised attempt to throw people off the trail and try and convince that YEC is correct. Unfortunately, you provided your own demise when you wrote: “In fact, there are neither too many nor too few fossils. Since, as you correctly state, fossilization depends on many factors, it is quite impossible to estimate how many fossils there “should” be for either scenario.” So…first you say there should fossils in every layer of geological column…then you turn around and say there is neither too few or too many. Make up your mind. And as for your definition of the geological column, you really need to stop getting your answers from religious folk. The definition of the geological column has NOTHING to do with fossils…nothing at all. In fact, even if there were no fossils, the column would still be the same thing it is. Try starting here: http://en.wikipedia.org/wiki/Geological_column. Wikipedia is not the best source, but it’s a good starting point for someone who really doesn’t understand it. As far as pointing out the error of YECers using the 2nd LOTD as proof against evolution, I’d say your efforts aren’t getting anywhere since so many creationists keep trying to bring it up. When it’s an argument that is in communal use, it is not an ‘individual wrong argument’. Ah Dane, I understand it is frustrating when I can so easily demonstrate your arguments to be incorrect or irrelevant. However, there is no reason to be so upset. All you have to do is actually educate yourself on evolution! Obviously, your “smaller class size” argument is also easy to refute, as there are many very small colleges that participate in the ETS. Thus, class size does not distinguish PHC on the test. Their YEC education and the fact that most of the students are homeschooled are what distinguish them. Those two distinguishing factors explain why the students were able to beat all the other students. The identification of strata by the fossils they contained, pioneered by William Smith, Georges Cuvier, Jean d’Omalius d’Halloy, and Alexandre Brogniart in the early 19th century, enabled geologists to divide Earth history more precisely. Thus, you definitely do need fossils for there to be a true geological column, otherwise, the majority of the strata cannot be identified. Tell me, how do geologists identify the strata in the Williston Basin, for example? Not by radiometric dating, and only a couple of the layers contain index fossils. The way the rest of the strata are identified is to look at the rocks themselves and compare them to rocks in other areas of the world that have fossils. Thus, it is not a geological column. It is a series of rock layers that, when compared to other rock layers in other parts of the world, get interpreted to be a geological column. Do you see how much more interesting science is when you actually learn the difference between data and interpretation? YECs are very good at doing this. It is unfortunate that most evolutionists are not. I think your statement, “So…first you say there should fossils in every layer of geological column…then you turn around and say there is neither too few or too many. Make up your mind” best illustrates your confusion when it comes to basic paleontology. When discussing whether or not there are too many or too few fossils, we are talking about the total count of fossils. When discussing fossils in the context of the geological column, we are talking about whether or not there are the right kinds of fossils to be able to identify the individual layers. These are two entirely different questions. Perhaps if you read the following article, you will begin to learn what he geological column really is. I pray that you are not so closed-minded and afraid of education that you ignore it! Actually, my pointing out the error of using the Second Law of Thermodynamics has stopped many YECs from using it. Not only have I received several E-MAILs from YECs thanking me for pointing this out and telling me they will never use that argument again, I have been the technical reviewer for many articles and books, and the authors that used that argument were happy to remove it when I explained it to them. This is, of course, expected, since YECs are more interested in real science. Unfortunately, the same cannot be said for many evolutionists, since I see the same old wrong arguments (such as scales evolving into feathers) being used by high-profile evolutionists time and time again. Once again, Dane, there is no need to be upset. Just educate yourself, and you will end up being much happier! I see I need to explain once again. Perhaps smaller words will help. If you really believe that the smaller class sizes at PHC do not contribute to how well the students performed, then you know very little about education. In addition, I already pointed out that their previous education-which includes attending Christian secondary schools with small class sizes and homeschooling where one on one attentive education is given-are also factors in how well these students, so thanks for telling me that I’m right. By the way, I’d love to see a link to an article that establishes that PHC actually was the top school of those schools that took the ETS. All I have is your say so and since you value critical thinking so much, I’d like to see verification. As far as the geological column, it seems you need a refresher course in the subject. The geological column does not have contain fossils in every layer to be a complete column…all that is required is material by which an accurate date can be acquired, typically through radiometric dating which is a quite accurate method. This is why the Bonaparte Basin and Wilston Basin are examples of the complete, as verified by empirical, rationally objective REAL science. I know it’s hard for you as a YEC to accept something that doesn’t fit into your ‘alternative science that proves God did it’, but facts are facts. Sorry about that. In regards fossils, you are now attempting to confuse the issue. I’m sorry, but you can’t backtrack and try and erase the erroneous claims you made. First you try and use the lack of fossils to prove the geological column is, at best, incomplete…but then you turn around and say that there is no such thing as too many fossils or too few fossils…the number of fossils is exactly right…namely because those fossils were created when the conditions were just right and survived the various calamities that can befall fossils. By your own logic, one should NOT expect to find fossils in every layer of the geological column, but you blindly step over this so you can stay in step with faulty YEC “science”. Evidently your work as an educator and a technical reviewer is reaching a very small audience since I keep seeing the 2nd LOTD argument either coming out of the mouth of YECer’s or in their literature or their websites. Somehow I doubt that many YECer’s are even aware of your work. And you can stop with the regurgitating of “scaled into feathers” nonsense. Apparently you’ve been so locked up with doing YEC ‘science’ that you aren’t aware that the scales directly to feathers hypothesis is now largely discounted within evolutionary science. You need to stop doing your research in a pulpit. Now, I’m sure you’ll have some long-winded reply and make the vain attempt to tell me how wrong I am. As for me, I think I’ve spent enough time correcting your errors, so go ahead and take the last word. Dane, I never said that smaller class sizes don’t have an effect on education. What I said was that there are many small colleges that participate in the ETS, so if small class size was the key, then PHC wouldn’t have swept all the categories. Thus, your “explanation” is clearly incorrect. As for confirmation, I have a link right there in the article. Perhaps you chose not to read it. Speaking of not reading articles, if you would even read the article you linked to me, you would see that fossils are absolutely necessary to make a geological column. As the article you linked to me clearly states, that’s how they identify which layer is which. Thus, calling the Bonaparte Basin and Wilston Basin complete geological columns is the result of you taking something on faith rather than investigating what the data actually say. I note that while I had no trouble reading the Wikipedia article you linked to me, you read neither the Wikipedia article nor the article I linked to you. I think that speaks volumes. I guess you didn’t understand what I was trying to teach you about fossils. I am sorry. Let me try to explain this again. When old-earthers make the claim that there are “too many fossils” for the YEC position to be correct, they are simply counting the total number of fossils and trying to determine whether or not so many organisms could have lived on earth during the short time over which YECs think the majority of the fossil record was created. Thus, the issue is simply the total number of fossils. When looking at the geological column, as the Wikipedia article you linked to me (but didn’t read yourself) says, the types of fossils in each layer are used to identify which layer is which. Thus, for a geological column to be a geological column, the types of fossils in each layer are what’s important, not the number. If there was only one of the index fossils that means Cambrian Rock, for example, then the geologist knows that the layer in question is Cambrian. Thus, the total number is irrelevant. Just the right types of fossils have to be present. I hope this helps you understand the geological column a bit better. You might be right that not a lot of YECs are aware of my work. However, your claim was that I “failed” at reducing the frequency at which YECs use the Second Law of Thermodynamics argument. Like most of what you have said in this discussion, that claim is demonstrably false. It is unfortunate that you have so many misconceptions about things like evolution and the geological column. However, there is a cure for this unfortunate situation: education. If you take the time to actually learn the science behind these issues, that would help you greatly. The article I linked to you (and you ignored) would be a great place to start. Don’t be afraid; just learn! Dane, it seems to me that you’re quite missing something about scales to feathers. That it has been discredited is exactly the point Dr Wile is trying to make, since he still encounters plenty of evolutionists trying to hit back with exactly that piece of long-dead evidence. This is actually the second time they made that false statement. The first one occurred three pages prior. Thus, while it has been completely discredited, evolutionists still use that argument. In Dane’s odd little version of reality, that’s not a problem. However, if any YEC makes any mistake, he thinks that discredits all of YEC. I’ve been reading your blog, as well as the GeoChristian blog, for some time now. I want to commend you for being an reasoned, independent voice when it comes to issues such as the recent Ken Ham/homeschooling convention controversy. However, I differ with your interpretation of the Patrick Henry College (PHC) scores on the ETS Proficiency Profile as support for the argument that an education including young-earth creationism is the best education. Given that the intent of the ETS Proficiency Profile is to provide a basis for comparing students who come from many different major fields at hundreds of colleges and universities, it would seem that the test would only be able to touch on core subject areas, and even then only in a very generalized sense. The test wouldn’t be able to delve into highly specialized sciences such as geology where where I would maintain the young-earth hypothesis breaks down. This seemed to be confirmed when I did a little web research on the test. According to ETS, the test assess four core skill areas — reading, critical thinking, writing, and mathematics, consists of only 108 questions, and is two hours long. Some sample questions from the ETS website can be found at: href=”http://www.ets.org/s/proficiencyprofile/pdf/sampleques.pdf”>http://www.ets.org/s/proficiencyprofile/pdf/sampleques.pdf. As you can see, these questions are very generalized and I suspect they accurately represent the entire test. It seems to me that it’s a stretch to say that such a short test with these type of questions would be an accurate barometer of competency in science, let alone a specific type of science. “The wall” does allow everyday scientific principles to be taught — e.g., basic physics such as Newtonian mechanics, fluids, heat, sound, and perhaps even some electricity and magnetism; inorganic and perhaps even some organic chemistry; and basic biology such as anatomy, taxonomy, and cell processes. For the moment, I suppose I could reluctantly adopt Ken Ham’s terminology and label these as “observational science,” although I think that term leads to confusion over the difference between science and engineering — but we could save that debate for another day. With the right home school or Christian school curriculum taught in stable, middle class Christian families where the class disruptions and political correctness of today’s public schools can’t interfere, I’m sure such “observational science” as well as reading, English, and math would be learned very well. I’m also sure the two core science courses taught at PHC do a fine job of covering “observational science.” Therefore, the kind of students who comprise the large majority at PHC — those raised in a home schooling environment — would do very well in the ETS Proficiency Profile. However, whether or not young earth creationism was taught wouldn’t be a factor in these high scores. Therefore, the only reason to consider the issue of young-earth creationism here is determine if it puts a person in good stead for adult life. When it comes to the young earth/old earth and evolution/six-day creation controversies, “the wall” prevents true critical thinking about the other side, because by definition whatever is over there cannot be valid. The only kind of science in these controversial subject areas which “the wall” allows is science by exceptions. I find science by exceptions in abundance under your “Age of the Earth” category, but that’s a horrible way to learn science. I suppose a child being home schooled could be exposed to a small amount of evidence for an old earth (if his/her parent’s internet filters allow it) on sites such as href=”http://geochristian.wordpress.com/”>The GeoChristian, href=”http://www.answersincreation.org/”>Answers in Creation, or href=”http://questioninganswersingenesis.blogspot.com/”>Questioning Answers in Genesis, but to get a tiny inkling of how large the mountain of evidence is on the other side of “the wall,” you would have to spend hours in the peer review journal section of a university science library. However, I would maintain that getting a high score on the ETS Proficiency Profile would not depend on whether or not a home schooled individual was exposed to such information. By the way, if you want to see several examples of the “wall” in operation, just check out href=”http://www.creationconversations.com/forum/topics/biblical-geology-evidences-of”>this thread on Grand Canyon geology in Creation Conversations, especially from pages 6 through 16, and observe how the young-earth believers respond to evidence that is presented to them. Especially note their responses to the presentation href=”http://www.slideshare.net/TimH/were-earths-sedimentary-rock-layers-really-deposited-by-noahs-flood”>Were Most of Earth’s Fossil-Bearing Sedimentary Rock Layers Deposited by Noah’s Flood, where none of the reviewers seems to be able to face up to the fact that simple math does not support Flood geology. Thanks for your comment and your kind words. I would point out that I am not using the ETS results as “support for the argument that an education including young-earth creationism is the best education.” I am saying that the combination of homeschooling and a YEC education explain the results quite nicely. There is a serious difference between those two statements. As you correctly point out, there is no way the ETS is the ideal test to determine a student’s education. Thus, to use its results to “support” such a thesis isn’t reasonable. However, given the fact that I have seen strong, positive educational outcomes in both homeschooling and YEC, it is very reasonable to use them to explain the results of the ETS. You make an excellent point that the kind of YEC education makes a difference. I certainly agree with that. When you put up artificial barriers that do not allow the student to investigate the data, that really reduces the effectiveness of the education. While I am happy to stipulate that this probably does happen in many YEC educaions, I actually contend that such artificial barriers are much more common in an old-earth education. Indeed, I have not seen a single old-earth secondary education book that addresses any of the serious data that are best interpreted in a young-earth framework. Instead, an artificial wall is erected, and any data that is not supportive of an old earth is simply not discussed. In my experience, then, you tend to have fewer walls in a YEC education than in an old-earth education. I agree with you that the term “observational science” is a poor one. At the same time, however, you do have to admit that some scientific conclusions are less assumption-laden than others. The more laden with assumptions a conclusion is, the less “solid” that conclusion is. I would strongly disagree with your statement, “whether or not young earth creationism was taught wouldn’t be a factor in these high scores.” It most certainly has a direct role. Since my experience is that YEC education erects fewer walls and forces students to think more critically, it seems quite obvious to me that those taught in such a way will do very well on tests that focus on critical thinking. Your idea that somehow YEC students don’t get exposed to the evidence for an old earth is quite incorrect. Indeed, such evidence is readily trumpeted in many venues, such as television shows, documentaries, museums, etc. It is also discussed in many YEC books, albeit for the purpose of arguing against it. The beauty of a YEC education is that it also exposes the student to data that are “over the wall” in most other forms of science education. It shows them the overwhelming evidence that the earth is young. As a result, unlike students taught in an old-earth framework, YEC students are much more likely to learn both sides of the issue, which is the best way to encourage critical thinking. It is very difficult to jump into a forum like that and follow the conversation. However, based on my reading, I see no “wall” in action there. I see a lively discussion, with you presenting your side and several others presenting their side. You probably don’t think they addressed the sediment transport issue to your satisfaction. At the same time, however, I could see how they could say you didn’t address their issues adequately. For example, you ignore several of the issues they bring up. I know why you did that – because you only have a limited amount of time and were trying to focus the discussion on what you saw as the heart of the matter. My point is that while you seem to think a “wall” is going up on their side, I can see how they would think a “wall” is going up on your side. Once, again, “Dr.” Wile, you fail. Epically so. I never said that PHC doing was ONLY because PHC has smaller class sizes. Reread my statement. I indicated that class size clearly plays a factor in the quality of student’s education. Since you agree with me, I see you’re not entirely dimwitted. As to the links you provided in the article, two are links to your blog, which is of no help, one is a link to the ETS website that explains what it is, but has NO articles about PHC nor any test scores posted; in fact, at the top of the home page, there is a search engine for the website. Know how many results you get when you type ‘Patrick Henry College’? ZERO. Finally, the other link is to the PHC website…and there’s nothing there about the ETS either…nothing in the journals, nothing in current news, nothing in the academics…and if you use their engine to search the PHC website for ‘ETS’…ZERO RESULTS. So, “Dr.”…do you actually have something to corroborate your claim? That’s clearly indicative that radiometric dating became the preferred method. Once again you are attempting to play around with the tired YEC adage that if the Earth is as old as is currently said, then there would be fossils in every layer of the geological column. Unfortunately, that is a ludicrous position because, as you yourself have stated, fossils only form under very specific conditions. Given what is known about the Earth in various time periods, it’s not only unreasonable but illogical to think that at every age of the Earth, those conditions were always present. You really should invest in a course in reading comprehension. I never said your work as an educator and technical reviewer “failed”…I said it apparently it isn’t reaching the number of people that you have intimated that it does. I’m sorry if that bruises your ego, as that wasn’t my intent, but facts are facts. Oh, Josiah…you just don’t get it. Your hero ‘Dr’. Wile here is trying to use “The Language of Science and Faith” to show how “evolutionists” go wrong. Unfortunately, it’s a very bad book to pick. First of all, the authors are Christians who believe that science can validate religious views. Thus, while these two view evolution as an actual phenomenon, they credit it’s existence to the work of ‘God’, in as far it is a process that ‘God’ started but made self-guiding, as Francis Collins rejects intelligent design. Second, their whole ‘scales to feathers’ bit was already rejected by credible science before the book was even an idea. It seems that “Dr.” Wile is simply looking to one-up me because so many of his Creationist friends keep using completely wrong science, so he vainly attempts to throw the same blanket over “evolutionists”. Ah, well…I should have known that there is no getting through to religious fanatics. Rail away, once more “Dr.”. One thing…you seem to be able to make time for this blog of yours…why not come over to the Rational Skepticism website and have a go there? There are members there who, unlike myself and like yourself (at least that’s what you claim), are scientists. Going to cop out again? I mean, I came to YOUR website, why not come to mine? (well, it’s not really mine of course…I just frequent it.). I post there under the name “FinalLegion”. Care to continue this dialogue there? Probably not. Well, say whatever it is you need to say…you really can have the last word. Enjoy. Once again, Dane, I understand it gets frustrating to see you arguments so easily defeated. However, there is no reason to get so upset! It seems you were so upset that you couldn’t even read what I wrote. You tried to indicate class size explained the results. However, as I so patiently tried to explain, several small universities are involved in the test. Thus, many of the students who took the test had the benefit of small class size. If that were even a factor in the explanation, then PHC wouldn’t have had the top test scores in every category. Obviously, there is a better explanation – the one I offered, which you still haven’t been able to challenge. I hope that helps you see what you could not see before. It is good that you finally read the link that you gave me quite some time ago. However, it seems you didn’t really understand it. Thus, I will need to explain it to you. Certainly the article says that radiometric dating indicates the earth is 4.570 billion years old. However, as you can see from even a cursory study of radiometric dating, it is fraught with errors. As a result, what it indicates about the age of the earth is rather meaningless. More to the point, however, this has nothing to do with the identification of the layers in a “geological column.” The reason that fossils aren’t mentioned in reference to the supposed age of the earth is that fossils aren’t used to determine that. They are, however, used to identify the layers of the geological column, which is why any complete geological column will need to have index fossils so the layers can be identified. You also don’t seem to understand the details of how radiometric dating is applied to geological columns. You seem to be operating under the misguided notion that the layers are identified with radiometric dating. They are not. This is because it is rare for a rock to be datable by radiometric processes. It takes a specific combination of physical and chemical characteristics. Thus, what the article is saying is that when it is possible to use radiometric dating to determine the age of a layer, it gives an absolute result. It is not used to determine which layer is which. Note that they can’t even say for sure that the strata are Triassic. If, as you contend, this was all done by radiometric dating, they would be able to say for certain. I hope this has helped you learn what the article you finally read actually means. Now that you have finally read the article you linked to me, perhaps you could read the article I linked to you. If you read it, you will learn a lot more about the geological column, and you will understand why no complete geological column exists anywhere on earth. This is 100% false. In fact, phylogenetic trees based on morphology show rather different results from those based on molecules, and phylogenetic trees based on different subsets of molecular data show rather different results from each other. Thus, the author needs to become a bit more educated on the issue before he starts writing about it! Your other link attacks Kent Hovind, who certainly deserves to be attacked on many issues. Unfortunately, in his attack, the author commits all sorts of fundamental errors. Probably his biggest blunder is to assert that the radiometric dating of rocks produces data that are perfectly concordant with the assumptions of the geological column. That is, of course, quite false. Indeed, there are many, many examples of radiometric dates that conflict with the assumptions of the geological column. Please note that the article in that link also answers the question that your linked article claims is an “unsolvable mystery” for creationists. It would at least help you review some of your misconceptions. Please actually read my responses before commenting on them. It makes things a lot easier. I did not even imply that if the earth is as old a currently said there should be fossils in every layer. I said that in order to identify a layer, you need to have index fossils in it. That is why there is no complete geological column anywhere on the planet, as strata must be identified in order to produce a geological column! Thus, you did specifically say that my work on educating YECs when it comes to the Second Law has “failed.” It seems odd to me that you tried to deny something you wrote so recently. Are you really that frustrated? There is, of course, a solution to being so frustrated. Educate yourself on an issue before you try to comment on it! Once again, you need to actually read some evolutionary literature from time to time. That would help you understand this hypothesis that you seem so enamored of. As I said before, I realize that you are frustrated because I am showing you how poor your arguments are. However, there is no need to be calling people names. Unfortunately, if this level of dialogue is indicative of what goes on at “your” website, I will most certainly pass. I enjoy serious dialogue, but when people respond to a refutation of their arguments by hurling insults, that is not serious dialogue at all. Dane, if you want to cast doubt on your opponents credentials as a scientist it’s a good idea to make sure they don’t exist first. The University of Rochester web site can be easily searched for a name, and sure enough you’ll find Dr Wile among 58 doctoral degrees awarded between 1988 and 1991. The very fact that I’ve bothered to check that should indicate that Dr. Wile is not my “hero”. Indeed since I disagree openly with a number of posts on this site and query many more, it is quite easy to tell with a cursory look that I don’t mindlessly believe everything Dr. Wile posts. In fact I actually take the time to check the online references he provides and to search for other points of view even on the issues I don’t intuitively have a problem with. I also maintain a particular interest in science and don’t get bamboozled by scientific terminology. The fact remains that most of his posts are very clearly explained, well balanced, and scientifically valid. In short your statement really doesn’t work. Well said, Josiah. I think anyone who has read even a few of the comment threads on this blog realize that (thankfully) you definitely don’t look on me as a hero. Thanks for your response on June 9, I will take it as an action to check out your home school teaching material to see how you present both sides of an issue. I wasn’t too hot at biology when it got into biochemistry (a B or C student) — the physical sciences always made more sense to me (I’m a hydrologist) — so let’s focus on the latter category. I see you have a textbook “Exploring Creation With Physical Science” – do you think this is a good place for me to start? Looking through the table of contents, it looks pretty solid. Actually, I don’t see too many topics where you would need to present both sides of an issue – perhaps near the end where you cover “Measuring the Distance to Stars” would be one of them. Do you have some other books/materials where you get a lot more into the controversial issues – e.g., the age of the earth? Or, do you point people to your web page for that kind of information? I agree with you that teaching both sides of the issue can really help students learn a controversial subject like evolution more thoroughly. I think it’s helped me as I read young-earth creationist materials and compare them with material published by the “old earth” side. I think the key to the success of such an approach would be whether or not both sides are being fairly and completely represented. If I may, let’s zoom in on the age of the earth issue for a moment. Say a home schooling mom asks you where she should obtain teaching materials addressing the old earth position – what would you provide to her? Similarly, where would you have her obtain materials addressing the young earth position? Hi Tim. I think the best book for you to look at when it comes to how I teach both sides is Exploring Creation with General Science. I do several modules on fossils and rocks in that book, so it has a fairly heavy concentration of old earth and young earth material in those modules. For many of the other books, the controversial topics pop up only occasionally. In general, if people are looking for resources specifically on the age of the earth, I generally send them to Reasons to Believe for the old-earth side and Institute for Creation Research for the young-earth side. This would be true for most subjects, including radiometric dating. If I could elaborate on my last paragraph, the specific issue I wanted to raise related to the age of the earth was radiometric dating – where would you tell the home school mom to get material supporting the old earth side and where would you tell her to obtain material supporting the young earth side? Dr. Wile, how can YEC be the best science education when there are no grad programs for it? Is there even a single creation science major at any college? Mark, it is the best way to teach science because it produces the best students. Good science does not need to be “approved” by some institution. Indeed, many of the greatest scientific advancements in history were fought tooth and nail by the reigning scientific institutions of the day. Thus, institutions are a notoriously poor judge of good science. YEC provides such a good scientific education because it makes students focus on the data and think for themselves, rather than just blindly accept the scientific dogma of the day. So, in other words, a member of the teaching staff MUST be a YEC and while the administration “expects” instructors to give “full exposition” of alternate ideas they are, at the end of the day, told to tell their students that Biblical truth is certain and YEC is the BEST answer. They DO NOT encourage their students to choose the best answer for themselves. Not a world view that is achieved through the synthesis and sifting of multiple views and ideas…no, the goal of PHC is to insist and enforce ONLY a Biblical worldview. Scroll down to where it discusses the five major programs it offers and of what the programs consist. I don’t see anything in there about any rigorous courses in the so called scientific truth of YEC. An omission, maybe? Let’s face it…institutions such as PHC that offer a YEC backed style of education is clearly not interested in students learning anything else or even considering anything else. YEC does not make students think for themselves; rather, it purposely enforces a particular type of thought pattern and unrelenting adherence to IT’S dogma while blithely dismissing any other data as either unreliable, based upon the regurgitation of Creationist rhetoric or casual of anything that does not follow in accordance with Biblical “truth”. Before a student even begins at PHC, they are being told that the knowledge the student will receive is based upon the “inerrant” knowledge revealed in the Bible. The student is already being pushed into a corner as this institution states the Bible is inerrant…period. There is no other truth but Biblical truth. Now, I personally do not know if such a thing has happened, but I’m certain that if a student was to offer a dissenting opinion to this and wanted to make his or her case, they would either be brow beaten into believing what everyone else believes or they’d simply be asked to leave the campus. As a product of the ‘mainstream’ university system, I seriously doubt such a thing would happen in a ‘mainstream’ college or university; in fact, I never had an instructor who dismissed dissension…it was welcomed. The instructor would simply ask the student to make his or her case as best as they could. Now, I don’t know as an absolute fact that the faculty at PHC-or similar-institutions would act in the manner I described in the previous paragraph, but based upon the ideals and the type of education this institution wishes to instill, I don’t see it as being unreasonable. So, Mark, as you can see, a YEC education is just as duplicitous and rigged as any ‘mainstream’ education the good Dr. Wile seeks to vilify…vilify, that is, according to his own biased and unrelenting absolutist belief in YEC education. Dane, the quote you give clearly demonstrates my point. Do most colleges expect their professors to “to expose students to alternate theories and the data, if any, which support those theories”? Of course not. In most colleges, only the dogma of the day is taught. No alternative theories are explored, and no data related to those theories are discussed. This is why PHC students do so well in science. They have been shown many sides and are expected to think critically to evaluate them. That’s not something most university students are even given the chance to do! Thanks for demonstrating my point so clearly! Now, of course, PHC wants their professors to teach the truth of Scripture. After all, that’s what PHC believes. Unlike many colleges, however, PHC does not fear presenting alternate ideas. That’s because PHC is convinced that their case is so strong that their view will win out over the alternate ideas. Science isn’t one of the five main programs of PHC, because it doesn’t offer any degrees in the sciences. This, of course, makes their students’ achievements even more impressive. Science isn’t even a focus of the college, but a YEC education is such a superior form of science education that when it come to science, they still best all other students who take the ETS! You claim that “institutions such as PHC that offer a YEC backed style of education is [sic] clearly not interested in students learning anything else or even considering anything else.” However, the quote you give clearly demonstrates that statement to be false. As I mentioned above, not many colleges expect their professors to expose students to alternate ideas and the data that support them. PHC, however, does. Thus, it clearly is interested in its students learning and considering many different viewpoints. It is interesting that you have never experienced PHC or even spoken to one of its students, yet you say you are “certain that if a student was to offer a dissenting opinion to this and wanted to make his or her case, they would either be brow beaten into believing what everyone else believes or they’d simply be asked to leave the campus.” You should probably try collecting some data upon which to base your “certain” beliefs. I know three PHC graduates, and two of them have personally told me stories in which they challenged their professors in class, specifically on Biblical issues. Rather than being “brow beaten” or asked to leave the campus, the discussion was lively and vigorous, and in one case, the student received an E-MAIL from the professor thanking her for starting the discussion. It is easy to hold a stereotypical view of a person or an institution. It takes time and effort to actually learn about people and institutions so that you avoid throwing around false accusations. It seems that you are the only one here who is vilifying a form of education. You hurl insults and false accusations at PHC. I have done no such thing towards “mainstream” education. I am simply pointing out what the data say: that a YEC science education is superior. This fact really seems to bother you, but that doesn’t alter its validity. How do I know that this fact bothers you? Because in two previous comments, you have claimed that you were going to give me the “last word.” Both times, however, you have come back to add more of your own words. Don’t get me wrong – I enjoy the discussion. I am just pointing out that it is obvious how much this fact bothers you! No, but if it really is good science, it is eventually accepted by most scientists and the institutions they work in. That’s right. The 6,000 year old earth was tenaciously held onto by the church long after it was generally accepted by modern scientists using empiricism and rational inquiry. Looks like you need a logic refresher. It does not follow thus. Over the long term, scientific institutions have a stellar record of accepting settled points of science. Of course, there are always areas where we don’t understand as well as we’d like, and there are always disputes over these areas, and some disputes turn out to produce a new understanding of the world. Then scientific institutions come to accept this new understanding. Every example you could give of a new idea fighting to become a new paradigm has been put through the ringer for good reason – to see if it’s true. Once through, it becomes settled science. What you are ignoring is that many new ideas fight and lose because they aren’t true. There are thousands and thousands of researchers in public and private institutions who seek to go beyond the scientific dogma of the day. They would like nothing better to publish results that alter that dogma and see their results stand up to scrutiny. Mark, you say, “No, but if it really is good science, it is eventually accepted by most scientists and the institutions they work in.” Eventually is the key word. I would agree that eventually, institutions are forced to accept what the evidence says. However, that sometimes takes quite a while. Thus, whether a particular idea is currently accepted by various institutions has little bearing on its validity. If you look at church history, you will find that the church did not hold to a 6,000-year-old earth tenaciously. Indeed, a figurative interpretation of Genesis was widespread in the church as early as the 12th century. Certain individual Christians have (and still do) hold to that view, but the church as a whole did not. Actually, my logic is quite sound. Institutions have often fought scientific advancements, so institutions are a notoriously poor judge of good science. If they were a good judge of science, they would not fight scientific advancements. Once again, the key is that eventually, good science prevails. However, you are trying to make the case that because there are no institutions that offer a major in YEC, then it must be bad science. Unfortunately, that assumes that institutions are always a good judge of science, and that is just not true. They often fight it tooth and nail for a long time. Now I do agree with you that many new ideas fight and lose because they are not true. However, it also sometimes takes quite a while for a true idea to win the fight. Thus, whether or not an idea is currently accepted by institutions has little to do with whether or not it is good science. I also agree that there are many scientists who are seeking to go beyond the scientific dogma of the day. Indeed, YEC scientists are one subset of those scientists. Thus, by your own admission, YECs are scientists. Thank you for admitting that! That’s a very nice apologetic rant, Dr., but it utterly fails to address any of the points I made based on the precise wording that PHC-and I’m sure ‘educational’ institutions like it-use. It’s plainly clear from their own language that every effort is made to insure that the students walk firmly entrenched in Christian dogma without the benefit of being exposed to any ideas or theories that are in contention with it. Anyone of a reasonable disposition can see it is rather obvious that while instructors may be asked by the administration to make students aware of alternate ideas it’s also clear that instructors are NOT to give any validity to those ideas. In fact, from the literature I referenced, instructors are, at the end of the day, told to tell their students that ONLY what is Biblically true is actual truth. By the language used in their own literature, PHC makes it very clear to me that non-Biblical ‘truths’ are taken lightly and more or less dismissed…not because they are in some fashion absolutely untrue but rather because that are not Biblically true; in short, instructors, I’m sure, are telling their students if it doesn’t fit Biblical truth, no matter how well it might be supported by evidence or data, discard it. As for the glowing achievement of PHC on the ETS-PP, I wouldn’t mind seeing a copy of the test that PHC administered. Since the faculty are able to add questions, including an optional essay question, and since it’s the university, NOT ETS, that sets the pass/fail mark, I’m rather interested in the parameters of scoring, the format that was used and if any localized questions were added, although I don’t believe localized questions are incorporated into total and subscore, but are incorporated into context subscores. Ah yes…students engaging their professors in ‘vigorous’ discussion. You’ll pardon me if I’m somehow doubting. An institution that relies so heavily on strict adherence to religious dogma in the face of any other data hardly draws a vision in my mind of lively, vigorous anti-dogmatic discussion. As ‘for the data’ saying that a YEC education is ‘clearly superior’, I find myself quite baffled as to how you could manage to type that with a straight face. A result from a single given exam at a single hardly shows a consistency of superiority, especially since the entire parameters of the test is unknown. Let us see PHC come away with top honors on the ETS-PP…and the CLA…and the CAAP..consistently and then your statement might have some validity. The only clear superiority a YEC education has demonstrated to possess is that it is superior when it comes to indoctrinating a mind to a particular dogma and to reject anything that isn’t in step with that dogma. And finally…yes, I’ve considered giving you the last word…but then again why should I? Since you obviously feel the need to carry on against ‘mainstream’ thinking and education so you can expose it for the farces you think they are, I figure I should do likewise by exposing the farce of “superior” YEC education. By prolonging the dialogue, you’re only serving my interests; after all, anyone of a rational disposition who bothers to read this discourse will likely see falseness of YEC education or, at worst, begin to consider all that it’s not said to be, so I thank you for that. Dane, my reply to you addresses each of your points in order. It was not a rant. It was a detailed response that shows that you cannot support your position. The only one ranting here is the one who keeps leveling false accusations at a college with which he has no experience. Actually, contrary to your statement, the very quote you used quite clearly shows that professors are expected to give alternate ideas some validity. As your quote says, professors are “to expose students to alternate theories and the data, if any, which support those theories.” If the professors weren’t expected to give alternate ideas validity, they would not be expected to discuss the data that support those ideas. Since you have no experience with PHC, it is not surprising that you think non-Biblical ideas are taken lightly there. However, like most opinions formed in ignorance, your opinion is quite wrong. Having spoken with three PHC graduates, I know how very seriously non-Biblical ideas are taken there. You can try to dismiss the serious, vigorous discussion that goes on at PHC, but that doesn’t change the fact that it does, indeed, go on there. Once again, that is why the PHC students do so well in science when compared to other students who take the same test. They are exposed to a wide variety of views and are forced to think about them critically. Unfortunately, most college students don’t get that chance. I think you need to investigate the ETS a bit more carefully. Universities can add their own questions, and they do set their own pass/fail marks, but that is for internal use only. When comparing how one college does to another, all college-specific material is ignored. I do not state the fact that a YEC science education is superior from the results of one test score. I state it from my own personal experience as a professional educator. My best chemistry and physics students at Ball State University were those who were homeschooled in a YEC framework. These test scores simply add to that data. I know it is difficult for people when they encounter data that contradict their preconceived notions, but the best thing to do in such situations is to deal with the data honestly. Once again, I am not carrying on against mainstream education. I am not sure why you keep trying to insist that I am, except perhaps to distract from the fact that you cannot support your assertions. I am simply pointing out that a YEC science education is clearly superior. I am glad that you are continuing the discussion, however, since the more you say, the weaker your position is shown to be! On the contrary, your adherence to your personal anecdotes, a single test result and insistence on being a dogmatic apologist for YEC education only continue to make your case weaker. And please don’t try and pretend that you aren’t attempting to vilify ‘mainstream’ education. Your continual adherence to the idea that ‘mainstream’ education is little more than collectivist falsehoods, shoddy methods and sheer fantasy clearly demonstrates that you are eager to vilify ‘mainstream’ education. Your explanations for the methods that PHC-and institutions like it-uses for teaching are laughable. Any reasonable person who was to read the links I posted would see with ease that students who get a YEC education are not being given a well rounded education; rather, they are being given a tightly, narrowly focused education. The exposure that PHC, and similar schools, provide their students for non-Biblically accurate ideas and data is obviously provided in a context that BEGINS with it being wrong rather ‘vigorously discussed’. These alternate ideas are included for a single purpose: to teach and indoctrinate the student in how to respond to non-Biblically accurate data via creationist “facts”. I imagine it’s rather a shock when these students get out into the real world and find out all the supposed ‘truth’ they’ve been handed isn’t true at all. Credible science has done a rather masterful job of dismantling so-called “Creationist Science”. This is especially true when creationists tried to sneak one past the public with the whole ‘Intelligent Design’ movement; of course, there are non-YEC Christians who are part of that movement as well, but the results end up being the same. But please continue, Dr….every time you respond to me, you just post more words for all to see…words that show the falsity of your position. I thank you for being a good mark and remaining so cooperative in this task. Here’s the situation, Dane. I have both anecdotal evidence and the results of a nationally-recognized test to back up my position. What do you have to back up your position? Nothing. As a result, you are forced to say that quotes from the PHC website mean the direct opposite of what they say. In addition, you are forced to level false charges at PHC, even while admitting you know nothing about PHC. It is rather clear to me what any rational person would say when reading this exchange! Once again, you are the only one who is vilifying here. You are continually leveling false accusations against PHC, simply because you do not like the position from which it educates its students. I am not vilifying anything. I am just stating what the data say: that a YEC science education is superior. Once again, if you actually collected some data to test your ideas, you would find that you are wrong about what happens when PHC graduates enter the real world. The three PHC graduates I know all have quite nice careers in the secular world and are very successful in them. Rather than being shocked at the “real world,” they find that PHC helped them to navigate the various worldviews that are out there, specifically because it exposed them to those worldviews and forced them to think critically. It is amazing how the world makes so much more sense when you base your worldview on evidence and critical thinking! Here’s the deal Dr. Your anecdotal evidence accounts for nothing as it’s simply secondhand hearsay. For every anecdote you can supply that supports your position, I could offer one that supports mine. That’s why in rational discourse, they end meaning very little. As to the results of the ETS-PP, I’d caution you to avoid using that as any evidence as it is a single exam providing results for a single instance. I notice that you completely avoided my mention of other types of exams similar to the ETS-PP…it seems PHC has avoided them as well. Consistency of results is what counts, not a one time instance. Indeed I quite agree I am vilifying PHC…and institutions like it. In this case, I can actually show the vilifying is justified just by directing anyone to the links I provided at the PHC website. I haven’t ‘leveled any charges’ against them at all; rather, I’ve made plain exactly what their intentions happen to be. Any rational person would see that. Just because you are too much of zealot to see that, that’s not my problem…and if you aren’t vilifying ‘mainstream’ education, why are you so critical of it? There’s quite a difference between constructive criticism and simply doing all you can to make something look bad. You have nothing in the way of objective evidence to support the notion that a YEC based education is superior. We already know anecdotal evidence carries little weight and that the results of a single exam given a single time means even less. What do you have besides that? Nothing. The success of your three PHC graduates doesn’t mean anything as I never challenged their ability to be successful in their chosen careers. All I said is that I’m sure it’s quite a shock when they are exposed to data that was originally presented to them in a completely out of context fashion. If personal anecdotes really mean as much as you think, let me tell you about my own. During the time I attended college, I worked a few days a week as a tutor and teacher’s aid. The area in which I attended college has a large Christian community, many of whom are YECers. I can tell you from firsthand experience that many came from homeschooling backgrounds and had their heads filled with the entire catalogue of YEC arguments and ‘truth’ and were determined carry that through their collegiate years. Unfortunately for them, more than I can remember found all that YEC backed education as fragile as glass especially when they were exposed to unbiased education. This is not to say they gave up their faith as Christians….many did, many didn’t…but the majority of those that I had contact certainly saw YEC education, especially in the sciences, was completely off base. Several of them even confided to me that though they thought that they were getting absolute truths, they realized they were getting a one-sided argument. Now that they had been exposed to unbiased information that was in context, they realized that only NOW were they given an entire spectrum from which to draw their own critically examined conclusions. It’s amazing how much the world makes sense when you actually get a real education that doesn’t have a one-sided agenda and actually encourages critical thinking. By the by, I finally got an opportunity to take a vacation, so I may not be posting for a little while. I may or may not be back to post again…depends on whether or not this dialogue has bored me yet. Anyways, say what you need to say…you may really get the last word this time. Dane, my anecdotal evidence does not count for nothing. As a professional educator, I have experienced thousands of university students, and the very best in my chemistry and physics courses were the ones who were homeschooled in a YEC framework. That doesn’t count for nothing. In addition, that result is supported by the ETS test results. This compares to your evidence, which is nothing. Thus, it is clear who is dealing with data and who is not. In fact, the links you give say the exact opposite of what you want people to believe. The links clearly say that PHC wants its professors to explore many points of view and give them all the validity that they deserve, based on the data. Then, the students can critically think through the issues to help them decide what to believe. That’s quite the opposite of what you claim, which shows once again that you are not paying attention to the evidence. Also, you most certainly are leveling false charges at PHC. You claim that they brow beat their students or try to get them to leave if they don’t toe the party line. You claim that they don’t want their students to learn other points of view. You claim that their students are in for a real shock when they get into the real world. These are all demonstrably false charges. I am glad that you agree that you are vilifying. However, I am not. Pointing out the superiority of one system is not vilifying another system. It is, in fact, giving the other system something to which it can aspire. I agree that anecdotal evidence carries little weight, but it carries some weight. Also, when that anecdotal evidence is confirmed by an independent, nationally-recognized measurement, the conclusion becomes well supported. And, of course, anecdotal evidence backed by an independent measurement is significantly more evidence than what you have to support your position, which is nothing. The three PHC students do demonstrate how wrong your assertions are. None of them were shocked when they got into the “real world.” Indeed, as I said before, they each told me they appreciated how PHC had prepared them to navigate the various worldviews they have come across. My point about their success was that they are in secular careers, which means they are exposed to the “real world,” and contrary to your false charge, PHC prepared them quite well for it. They most certainly weren’t at all shocked by what they encountered. Your personal anecdote is interesting, but unfortunately, it doesn’t apply much to the discussion. Did you have the chance to actually evaluate their scientific knowledge? It doesn’t seem so. In the case of my experience, as a professional educator, I evaluated the science abilities of each of my students. It was the students who were homeschooled with a YEC education that were the best, hands down. Did some of them abandon their YEC views? Absolutely. Of course, at the same time, some students who were not YECs ended up becoming YECs as a result of getting a good science education at Ball State University. Thus, the issue isn’t whether or not the students thought their YEC education was good. The issue is whether their YEC education made them good at science. An evaluation of their science abilities not only by me but also by a nationally-recognized test supports the fact that their YEC education made them better at science than their peers. You, on the other hand, have no data whatsoever to support your position. I agree that it is amazing how much the world makes sense when you actually get a real education that doesn’t have a one-sided agenda and actually encourages critical thinking. That’s why I strongly encourage a YEC education. I do hope you comment again. Your comments are very educational and entertaining! Phew! I just read through this entire thread. Dr. Wile, I appreciate that you took so much time to respond to Dane – and maintained a kind and educative posture throughout. I wouldn’t have been able to accomplish that; I’m used to the ideological environment at college, where we’re all fierce idealists. Anyway, I found this thread fascinating for many reasons, but what intrigues me most is the central topic, the merits of a young-earth creationist education. For I am the product of just that: I was homeschooled through high school, and I used your textbooks. I just graduated from college and am attending grad school this fall. I won’t write where I went, but let’s just say there weren’t many creationists around. What I found was that the critical thinking skills of the average student were mediocre at best. (It didn’t help that the expository writing professors told us what to think.) This was especially true when it came to science: many of them were under the impression that science is the sole arbiter of truth, and that scientists are heroes uncovering objective reality. This, of course, meant to them that creationism is scientifically invalid, that the scientific community rules, and the scientific method is the first commandment (never mind that it doesn’t really exist). They would not think it possible for modern science to construct grand edifices out of the epistemological equivalent to cardboard. When I talked to molecular and cell biology students about evolution, they didn’t even get the difference between microevolution and macroevolution (I think those are the correct terms). It was like talking to a very confused wall. No doubt they thought the same about me. Now, I do physics, so I don’t know organic chemistry or biochemistry. When the conversation got to that level, I couldn’t argue with them, and I had to say that I didn’t know as much as they did. All the science involved in evolution is incredibly complicated, and I imagine that not many people actually know enough of the background to truly analyze the data. I do not. All this stuff about the geological column is just one example. In addition, different creationists propose different arguments, and a lot of what’s out there is nonsense. So I imagine it’s incredibly difficult for home educators to teach their kids reliable information (which is why you do what you do). And for that reason, most young-earth creationist homeschooling probably involves some of the “walls” Tim mentioned above. Critical thinking isn’t easy when you don’t have enough information. So I’m really not sure that young-earth creationist education is what put Patrick Henry College on top. Maybe critical thinking about science itself helps, along with the fact that homeschoolers aren’t fed all the propaganda about science public school students get. I’d probably say it was because homeschooled students read more than other students. A LOT more. They can go read for themselves about evolution (I picked up The Origin of Species). But then again, I’m still smarting from all the Shakespeare my mom made me read five years ago. Thanks for your comment, Jake. I certainly agree that critical thinking is hard without all the information, but that’s why I propose a YEC education is superior. It generally gives the student more information, because the student learns evolution but also some data that contradict it. That’s generally more than a student gets in a secular education. Your point about propaganda is quite good. I do think the students at PHC learned less propaganda and more science. “Thus, whether a particular idea is currently accepted by various institutions has little bearing on its validity.” First – “thus” I do not think it means what you think it means. Second – let’s try a verbal Venn diagram. Draw a large circle for “all ideas science has ever come up with”. Then draw a very small circle tangent but within that large circle for “currently accepted by various institutions”. Now we’re left with “validity”. This circle will cover almost every part of the small circle, a tiny bit of the big circle, and some amount outside the large circle. Do you agree? “Institutions have often fought scientific advancements, so institutions are a notoriously poor judge of good science.” No, your logic is not sound. Let’s take the reverse: “Institutions have often gladly embraced scientific advancements, so institutions are a marvelous judge of good science”. Is that good logic? That’s rhetorical. Real question: What are some scientific institutions which have had a notoriously poor judge of good science? “Once again, the key is that eventually, good science prevails. However, you are trying to make the case that because there are no institutions that offer a major in YEC, then it must be bad science.” YEC has been around for a long time. There are zero colleges or universities that offer a degree in YEC. How long will it be until YEC even gains a toehold on a single higher education institution? Let’s say one course, in a biology department, titled “Young Earth Creationism”. When should we expect that? “However, it also sometimes takes quite a while for a true idea to win the fight. Thus, whether or not an idea is currently accepted by institutions has little to do with whether or not it is good science.” Again, it does not follow thus. Science has been around for a long time, too. From a long run perspective, valid science and currently accepted science are almost coincident. You are taking the fact of arguments at the leading edge of research taking time to sort out, and applying it to YEC. It doesn’t fit in that box. Mark, your description of the Venn diagram is correct. However, it does not support your point. Yes, the amount of valid science that universities do not accept is small. However, regardless of how small it is, it is possible that any given idea fits in that small area. Thus, to say that a lack of university support means an idea isn’t valid does not work. My logic is quote sound. You claim that since no university offers a YEC major, YEC must not be sound. However, as you described in your verbal Venn diagram, there is some valid science that universities do not accept. Thus, you cannot claim that if it is not accepted by a university, it is not valid. Universities do accept a great deal of valid science, but they do not accept it all. Thus, they are not a good indicator of whether or not a scientific concept is valid. Only the data are a good judge of that, and the data support the YEC view. I have no idea when we should expect universities to start offering courses in YEC. I agree that it has been around for a long time, but some ideas take a very long time to be accepted in science, especially when they challenge the prevailing dogma of the day. Thus, it might be a very long time before universities start recognizing its significance. However, I think the fact that YEC is such a superior form of education will help speed up that timetable. YEC most certainly fits in the “leading edge” box when it comes to science. Some of the best YEC data are very new. This is one reason YEC doesn’t die away like bad science typically does. The more we learn about nature, the more the data support the YEC position. This is also one reason why a YEC education produces such stellar students. Thanks for the definition of “thus.” It shows quite well that I am using the term correctly. I appreciate it when you support my position like that! Or in other words, the number of institutions and indeed people who accept an idea doesn’t have any bearing on whether or not it is a valid theory. Saying otherwise is to subscribe to a bandwagon or appeal to authority fallacy. Clearly few institutions would teach that earth was planned by Deep Thought and overseen by White mice, and that doesn’t make it true. At the same time no institution is presently teaching the correct unifying theory between quantum and relativistic physics, but that doesn’t prevent that theory (whatever it is) from being true. Again, the second sentence does not follow from the first. An example: “Harvard accepts a great many excellent students, but they do not accept all of them. Thus, Harvard is not a good judge of excellent students.” Can you say that makes logical sense? But I am much more interested in the third sentence. The data do not judge anything, people judge the data. Thus, it is your opinion that the data support the YEC view. Besides a few cranks, every biologist in the world think the data support common decent with modification and natural selection. Are you saying that your judgment is better than the collective judgment of the world’s biologists? I’m going to respond to the “very new” data post you link to. It certainly is not new, and that Norwegian fellow seems to have some very good points. Mark, the second sentence does follow directly from the first. If you do not recognize good science, then you are not a good judge of science. Harvard does, indeed, accept a lot of excellent students, but because it does not recognize many excellent students, it is not a good judge of them. If it were a good judge of excellent students, it would accept all excellent students. The very fact that it misses a few demonstrates that it is not a good judge of them. I agree with you that people judge the data. Also, people judge whether or not someone else is a “crank.” You say, “Besides a few cranks, every biologist in the world think [sic] the data support common decent with modification and natural selection.” I say, “While most biologists think the data support common decent with modification and natural selection, a few biologists have been able to separate their preconceived notions from the data and are able to see that this is not the case.” Thus, the people you call “cranks” are, in my opinion, those who actually look at the data honestly. Also, you had better be very careful with who you are calling a “crank.” I think JC Sanford knows quite a bit more genetics than you do. He also has a stellar academic publication record and several genetic patents to his name. If you are calling him a “crank,” I think that says more about you than it does about biology and evolution! Obviously I do think that the judgment of people like JC Sanford is better than the judgment of the majority of biologists. That’s because rather than just accepting what the majority says, I am willing to look at the data myself and actually think for myself. You definitely need to read Josiah’s comment carefully. The bandwagon mentality is no way to do science. Just saying, the “new” data linked is certainly new if you consider its age relative to Marie Curie’s initial work on radiation. If you read through a lot of Norwegian Shooter’s posts, it becomes clear that he doesn’t really understand many of his own points (which often aren’t really his but are instead plagiarized), let alone the responses. Instead of looking at his arguments, or even Dr. Wile who is a secondary source, it would be better to go back to the original research. Great point, Josiah. Norwegian Shooter obviously had little interest in following the science. You can see that clearly from several of his comments, not only on that post but on many other posts. Also, I strongly agree that people should look at primary sources. Thanks for putting those out there for Mark to read. Dr. Wile, what is the difference between the bandwagon mentality and scientific consensus? How do you tell the difference between the two? Good question, Mark. I think the bandwagon mentality is something that affects individuals. An individual sees that lots of other people believe something, and then that individual jumps on the bandwagon, really not caring to investigate the matter to see if all these people have reasonable arguments to support their claim. When someone argues, “Most scientists believe X, therefore you and I should believe it as well,” that’s the bandwagon mentality. Compare that to someone saying, “The data say A, B, and C, which means you and I should believe X.” Now that’s a scientific argument, and it is easily distinguishable from the bandwagon mentality. The scientific consensus is simply what a large majority of scientists believe at any given time, and that often leads to the bandwagon mentality. People see that a large majority of scientists have agreed upon something, and they just believe that it must be the right view, so they hop on board the bandwagon. However, the scientific consensus is not the best indicator of what is right, because it has often been wrong throughout the history of science. Thus, it is best to weigh the data yourself and evaluate the scientific consensus. Indeed, most of the greatest scientific advancements in history have come from challenging the scientific consensus. As a result, challenging the scientific consensus is, in fact, a very scientific thing to do! “However, the scientific consensus is not the best indicator of what is right, because it has often been wrong throughout the history of science.” Back to this poor logic again? The beauty of science as a human endeavor is that it contains within itself the ability to correct itself. So that the current scientific consensus is the best guess at what is real at the time. Of course there were mistakes along the way. That says nothing about the overall veracity of science. If scientific consensus is not the best indicator of what is right, what is? “most of the greatest scientific advancements in history have come from challenging the scientific consensus” That is a truism. They are scientific advancements because they are right and they are called great because they challenge scientific consensus. But this fact does not sully science’s enormous achievement of expanding our knowledge of reality. Mark, you are really misunderstanding what I am saying. I am not attacking the veracity of science. I am a scientist. I have been trained as a scientist, I have published as a scientist, and I have been funded by the National Science Foundation to perform original research. There is no reason for me to attack the veracity of science. In fact, I have contributed to the veracity of science with my original research that has been published in the peer-reviewed literature. What I am attacking is the non-scientific idea that the scientific consensus indicates what is right. That is most certainly not true, as has been demonstrated again and again throughout the history of science. I agree that science contains within itself the ability to correct itself. That’s exactly what young-earth creationists are working towards. We are trying to correct the scientific consensus, because in this case (like in many other cases throughout history), the scientific consensus is wrong. You ask, “If scientific consensus is not the best indicator of what is right, what is?” The answer to that is simple. The data are the best indicator of what is right. As I said before, if you say “The majority of scientists believe X, therefore you and I should believe it as well,” that is not a scientific argument. That is an example of jumping on the bandwagon. If, instead, you say, “The data indicate A, B, and C, therefore you and I should believe X,” that is a scientific statement. It also indicates that you are thinking for yourself! I absolutely agree that the many times the scientific consensus has been demonstrated to be wrong do not, in any way, sully science’s enormous achievements. However, they do clearly demonstrate that relying on the scientific consensus instead of addressing the data yourself is definitely not the scientific thing to do. Indeed, that very action has hindered science through the years! If you ignore the fact that all scientific findings are temporary and contingent, you are attacking the veracity of science. By stating that you know the correct interpretation of the data (ignoring the fact that you can’t possibly have examined all of the raw data for all of the scientific evidence for evolution and an old earth), you are placing yourself above science as the enterprise of a community of humans. When the scientific consensus, a constantly moving target, is wrong, it is overturned not by one person just asserting that they have the right interpretation of the data and everybody else is wrong. It is improved by the community of scientists (experts in the field) testing and probing the new hypothesis until they agree or disagree. There is often years of fierce wrangling over the details. But eventually, if the evidence is strong enough, a large majority of experts will settle on calling the new hypothesis a theory and using it to expand further research. This is not the model that you are suggesting. You are suggesting that everyone should examine the raw data themselves and decide for themselves whether the data indicate A, B, and C. Then you say that everyone should conclude for themselves whether A, B, and C support theory X. I wonder how you would implement this method for cancer research. Or whether the Higgs boson exists and if it does, what is its mass. Or what are the Neuronal Correlates of Consciousness. Mark, I am not ignoring the fact that all scientific findings are temporary and contingent. In fact, by stating that the YEC position is wrong simply because it goes against the scientific consensus, you are the one who is ignoring the fact that all scientific findings are temporary and contingent! I am also not placing myself “above science as the enterprise of a community of humans.” I am simply saying that the scientific consensus is not always correct, a fact that is amply demonstrated by the history of science. Thus, rather than relying on the scientific consensus, rational people should actually confront the data themselves to determine what is correct. Would you say that Galileo, Bohr, and Einstein placed themselves “above science as the enterprise of a community of humans?” Of course not. They just realized that the scientific consensus is not always right, and they interpreted the data in a different way. As a result, great scientific advancements took place! I most certainly agree that the scientific consensus is a constantly moving target. Once again, that shows you it is not a reliable means by which to determine what is correct. In addition, I also agree that the scientific consensus is not overturned by a single person. It is overturned by a group of individuals, each of which realizes that the majority of scientists are interpreting the data in the wrong way. These individuals are not putting themselves “above science as the enterprise of a community of humans.” They are simply recognizing that the majority of scientists are sometimes wrong, and they are endeavoring to correct that problem. In fact, this is exactly what YECs are doing. There are YECs who are experts in many fields related to biology and earth science. They test and probe new hypotheses, do original research, wrangle over the data, and produce evidence for their position. For some reason, you are trying to argue that this is a valid approach in most areas of science, but not when it comes to evolution or the concept of an ancient earth. To me, that says quite a lot about why you are so opposed to the YEC view! I am most certainly suggesting “that everyone should examine the raw data themselves and decide for themselves whether the data indicate A, B, and C,” because I encourage people to think for themselves. I know it is easier to simply let the majority of scientists make such decisions for you. However, I don’t find that very intellectually rewarding, and it is most certainly not the scientific approach. I am not sure why you are confused about how this model would apply to cancer research, the Higgs boson, or the neuronal correlates of consciousness. In fact, it is the model that is already used in most areas of science. Individual scientists (or groups of individuals) examine the data themselves, try to determine what the data indicate, and then use their own interpretation of the data to guide their original research. This is exactly what I did when I was an NSF-funded scientist, and it is what my colleagues did as well. Rather than simply assuming that the scientific consensus was true, we constantly challenged the scientific consensus. Sometimes, our original research ended up supporting the consensus, and sometimes it ended up eroding the consensus. This is exactly what YEC scientists do today, and it is why so much solid evidence is being produced to support the YEC position. As the original post discusses, it is also why a YEC education produces such stellar science students!